Finance Minister Arun Jaitley has sought dismissal of Delhi Chief Minister Arvind Kejriwal's plea in the defamation case on the ground that he and five other AAP leaders, who were also summoned as accused in the case, since the beginning of the case had tried to "stall" the proceedings and had filed various petitions and applications to "impede" the trial. 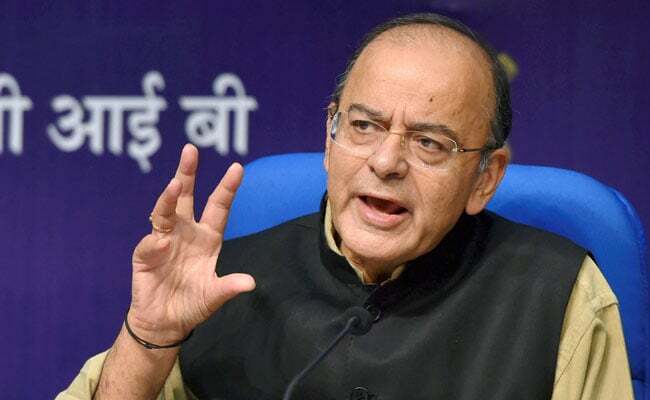 New Delhi: Union minister Arun Jaitley today opposed Chief Minister Arvind Kejriwal's petition in the Delhi High Court seeking quashing of a trial court's order summoning him as an accused in a criminal defamation complaint filed by the BJP leader. Mr Jaitley sought dismissal of Mr Kejriwal's plea on the ground that he and five other AAP leaders, who were also summoned as accused in the case, since the beginning of the case had tried to "stall" the proceedings and had filed various petitions and applications to "impede" the trial. The finance minister made the submissions in his written arguments filed before Justice A K Pathak, who was hearing the chief minister's plea against a trial court's March 9, 2016 order summoning him and others in the matter. Taking note of the submissions filed before it, the court fixed the matter for arguments on January 11 next year. It also asked Kejriwal's counsel to file their written arguments in the matter. Senior counsel Sidharth Luthra and advocate Manik Dogra, representing Mr Jaitley, said the present petition ought to be dismissed on the ground of delay and latches. "The petition has been filed on May 3, 2017, almost 14 months after the summoning order was passed on March 9, 2016," the counsel said. They said that the petition, which raises fallacious and baseless contentions, has only been filed with an ulterior motive to delay the trial. Mr Kejriwal's lawyers Nitya Ramakrishnan and Shadan Farasat said that none of the statements attributed to their client was defamatory in nature, as they do not satisfy any of the ingredients provided in Section 499 (defamation) of IPC and its explanations. Mr Kejriwal has said the trial court, prior to summoning him, did not test the allegations made in the complaint and pre-summoning evidence. Besides Mr Kejriwal, the trial court had also summoned Ashutosh, Sanjay Singh, Kumar Vishwas, Raghav Chadha and Deepak Bajpai, observing that the allegations levelled by them against Mr Jaitley were "not only insulting but jeeringly taunting and provocative". After they appeared in the matter, they were granted bail by the trial court. Mr Jaitley had filed the criminal defamation complaint alleging that the accused had defamed him in a controversy regarding the Delhi and District Cricket Association (DDCA) when he headed it for over a decade. The AAP leaders had accused the BJP leader of corruption while he was the president of the DDCA from 2000 to 2013. The charges have been denied by the Union minister during his cross-examination by Mr Kejriwal's counsel before the Delhi High Court. A civil defamation suit has also been filed by Mr Jaitley against them in the Delhi High Court in the matter seeking Rs 10 crore as damages. The Union minister also contended that a perusal of the summoning order reveals that the trail court has clearly applied his judicial mind before issuing summons to all the accused.